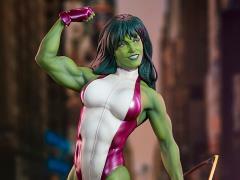 This She-Hulk 1/5 scale Statue is based on the work of acclaimed comic book artist Adi Granov and captures all the fun of Marvel’s jade giantess. Measuring 17.5 inches tall she is posed on top of a New York City street base, and comes complete with all the familiar sights of a day in the Big Apple. Shulkie has ripped the door off a taxi cab, busting a red fire hydrant and spilling water into the storm drain below. An ad for her attorney alter ego Jennifer Walters can be seen on the dinged-up cab door, while a nearby rat drags a slice of New York pizza across the street. This statue is made of polyresin and features her wearing her iconic leotard costume, with purple metallic side panels and a matte white. 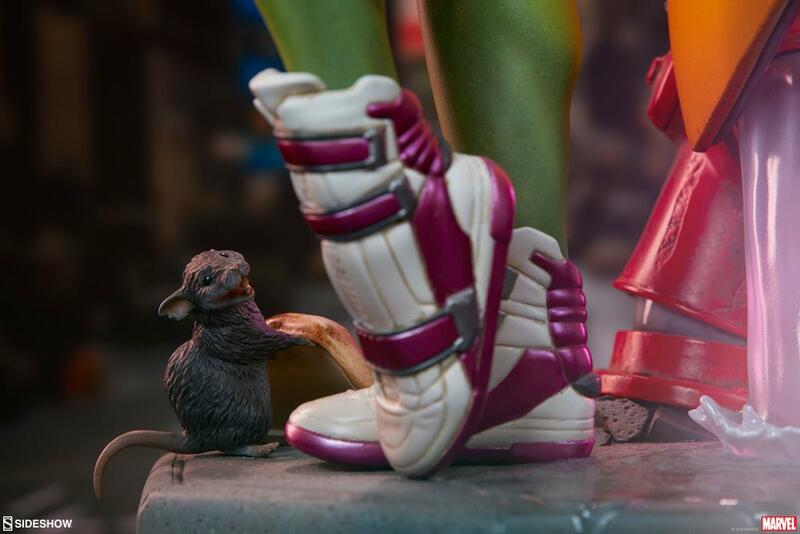 She’s also wearing matching purple gloves and white and purple athletic shoes, all sculpted and painted with realistic fabric-like details. 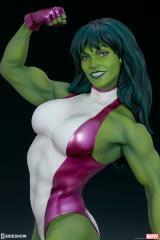 She-Hulk’s effortless style is present in every inch of this stunning statue as she flexes her incredible green muscles and gives her best smile.